Here is a video that shows part of the Britney Spears Ab Workout. This video shows 4 of Britney's top Ab Toning Exercises. Everyone has their favorite ab exercises. You can use some of Britney's favorites or choose your own to create an awesome ab workout. I bet some people were looking for something crazy. The truth is that even simple ab exercises can provide a great workout. Here are the 4 exercises. I know Britney Spears is an avid exerciser, and I'm sure she works hard to stay in shape. Like I mentioned earlier, you can use some of her favorites or pick your own. 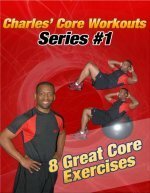 This site has pictures of more than 100 Abdominal Exercises. Visit the Picture Directory of Ab Exercises to Learn Over 100 Abdominal Exercises.